Join The Humanitarian Symphony Orchestra (HSO) In Concert. The Humanitarian Symphony Orchestra (HSO) will perform some wonderful classical and modern pieces. 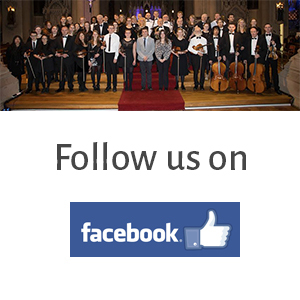 Come join us in the magnificent St Michan’s Church, steeped in history as the Orchestra perform live! History: St Michan’s was founded in 1095, was the only church located on the north side of Dublin City until 1686. The present structure dates from 1685 and was renovated in 1825. The interior, which has changed little since Victorian times, still has its original organ. Another notable artefact is the Penitant’s Desk, commissioned in 1724 and used for public confession. Below the church burial vaults containing the mummified remains of many of Dublin’s most influential families from 1600 to 1800. The death mask of Wolfe Tone and the coffins of the 1798 rebels John and Henry Shears. ** Concession: Unwaged, OAP, Student..